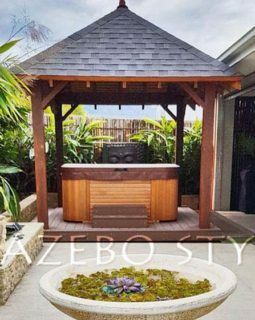 When it comes to buying a Bali Hut or other type of timber gazebo, there are a few things to look for in the manufacture which will assure you that you are getting a good quality construction that will last for years, be safe and conform to Australian Building Standards. Housing the beams is when two sections are cut out at the top of the posts to sit the beams on. This means that the weight of the beams is taken by the posts, and not reliant on the strength of just bolts to hold them up. 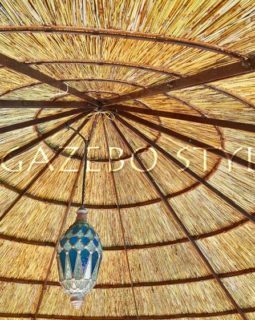 We do this on all our huts. 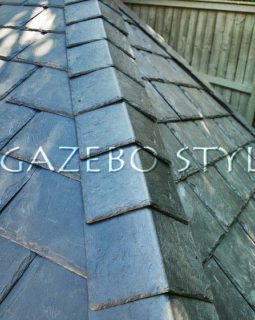 Each rafter is cut out with a “birdsmouth”. A triangular section is removed from the rafter where it sits on the beam before being screwed into place. 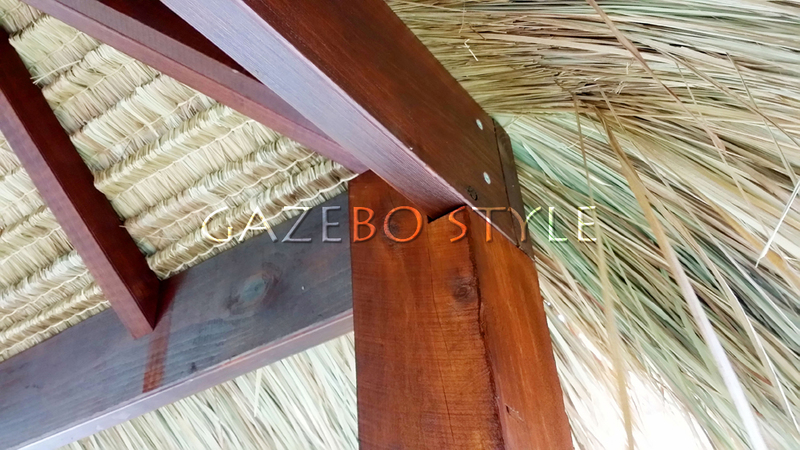 Again this is for stability, safety and longevity, rather than relying on screws to hold the rafter on the beam. 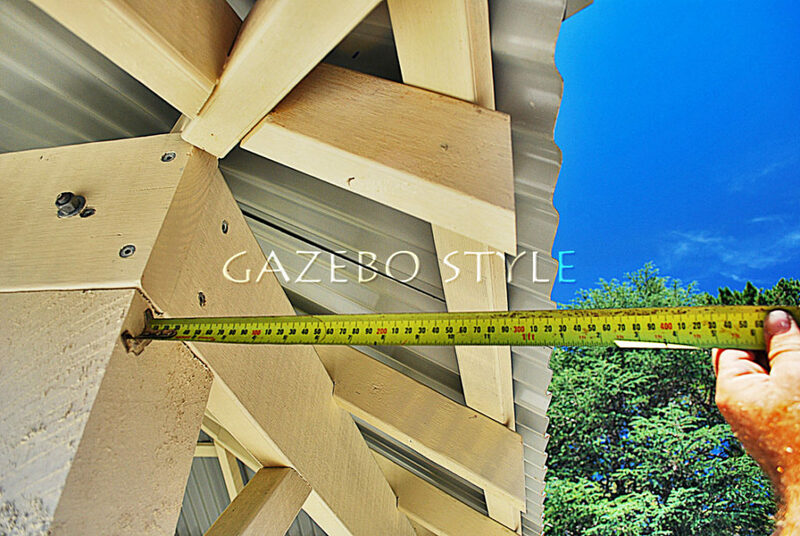 A Structural Eave has the rafters extended out past the beams usually between 100mm and 300mm. 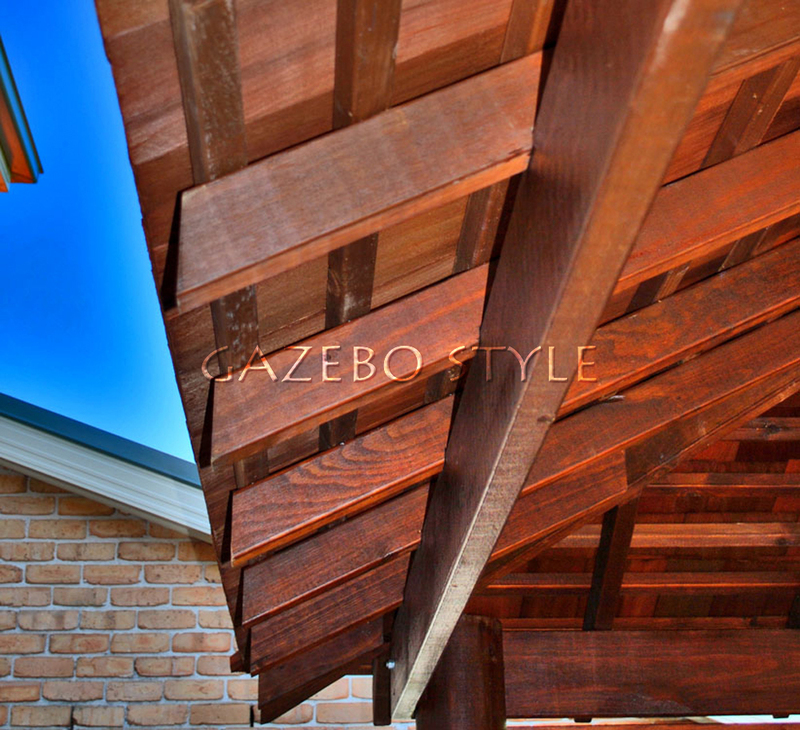 The roofing material and any battens thus have support and stability, and resistance to lifting in heavy winds. 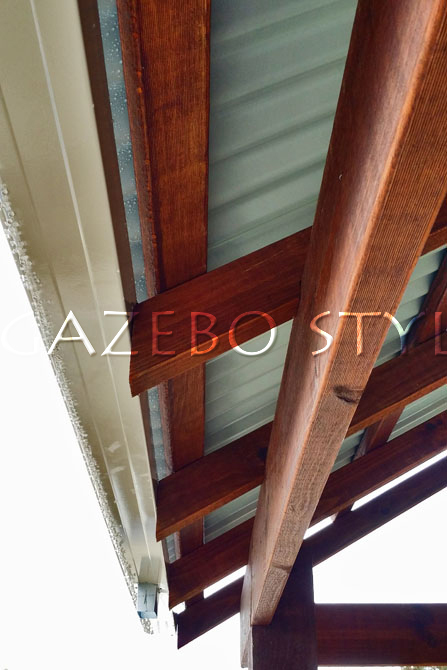 Sometimes the practice in the gazebo industry is to fit the rafters to the inside of the beam, then let the roof sheeting extend out anywhere from 250mm to 500mm, which does not confirm to Australian standards. 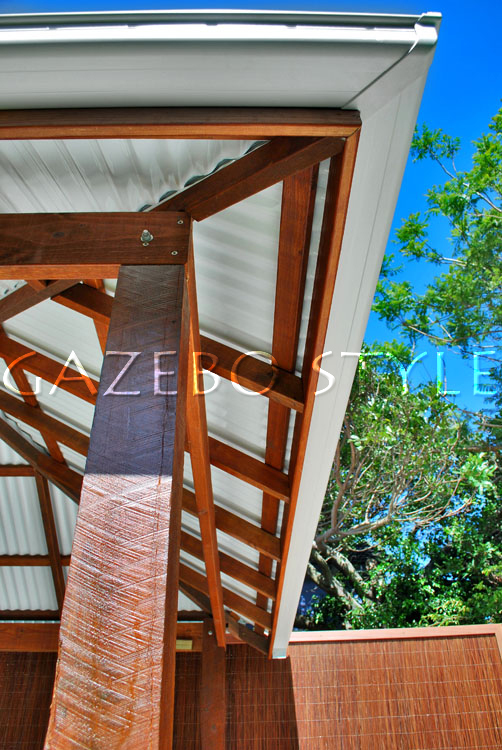 Australian Standards state that a roof sheeting material must not exceed 50mm projection. 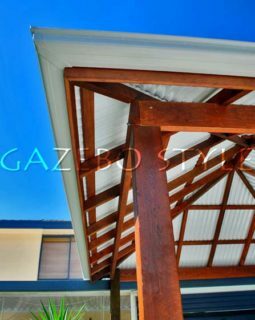 When manufacturing a gazebo that needs battens to support its roofing material (colorbond, shingle, tile and african gazebos) we cut them on an angle so that they join up perfectly. This is proper carpentry joinery. We also stain our battens before installing them. 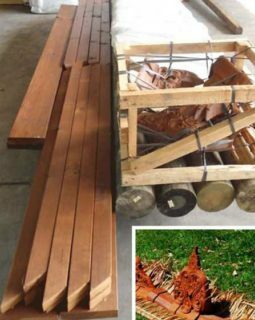 Wood stain protects against rot and decay. 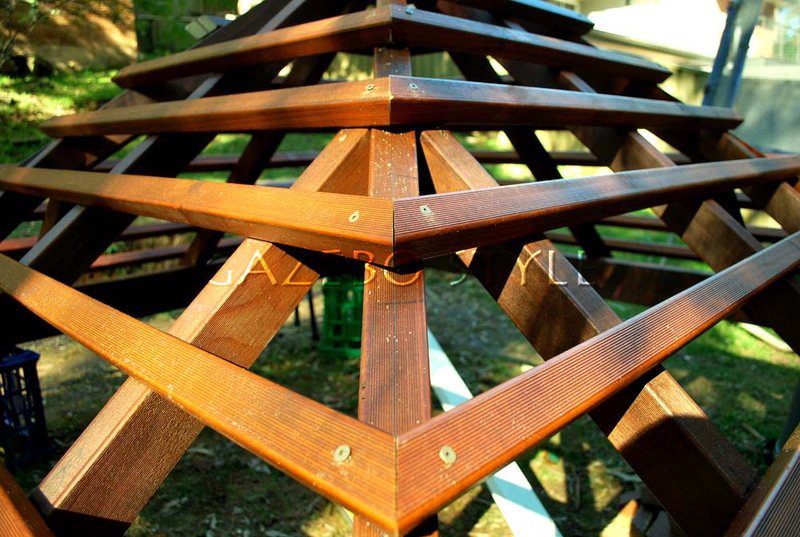 All our decks are constructed with a Treated Pine frame, then a choice of decking timbers. All decks are screwed down and finished with stain. 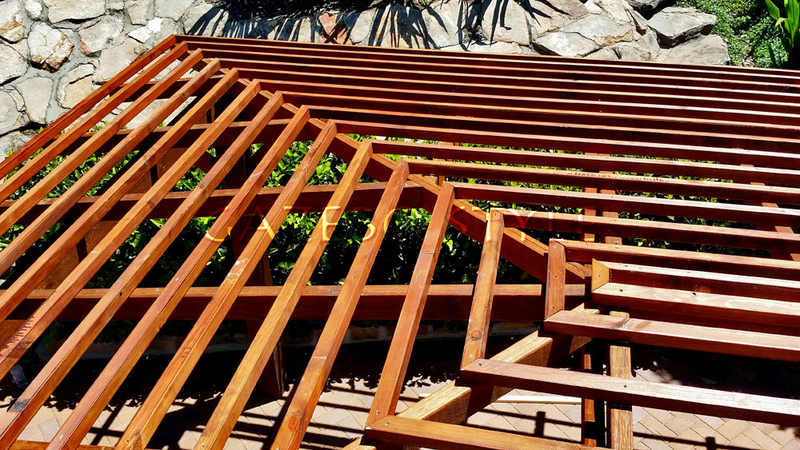 As we are a business run by a licensed carpenter, naturally we take a certain pride in the quality of our carpentry skills and always pay great attention to detail. 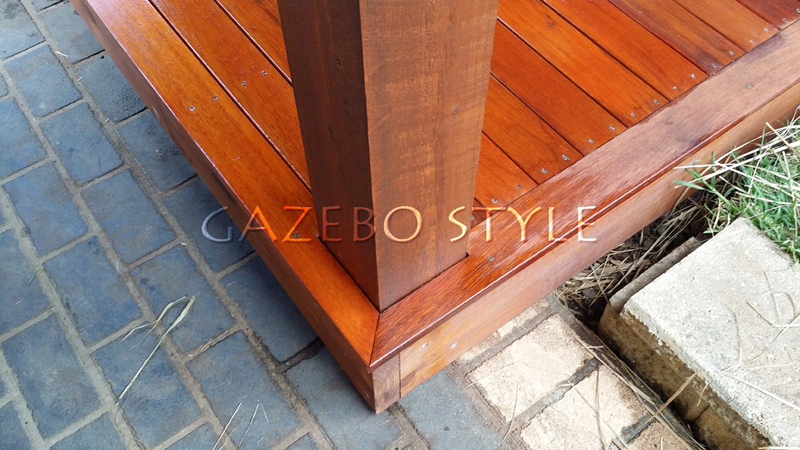 Our decks are no exception, only the highest quality manufacture and construction is done here. 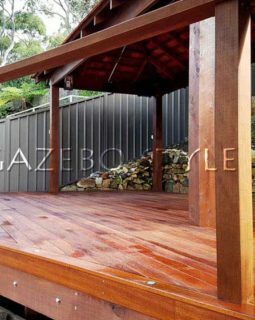 Take look at this superb deck and make sure when you choose your decking, you are getting the best in the business! 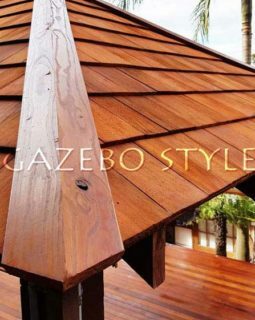 And finally, a key point to ask for when purchasing a Bali Hut, is how far apart the thatch strips are placed on the roof. 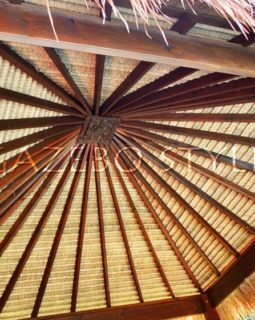 All our Bali Huts are waterproof and insulated against heat and to ensure this we space our thatching at a maximum 80mm apart. We have found that this is the ideal spacing to provide longer lasting thatch, 100% waterproofing, and a cool lower temperature underneath in summer. 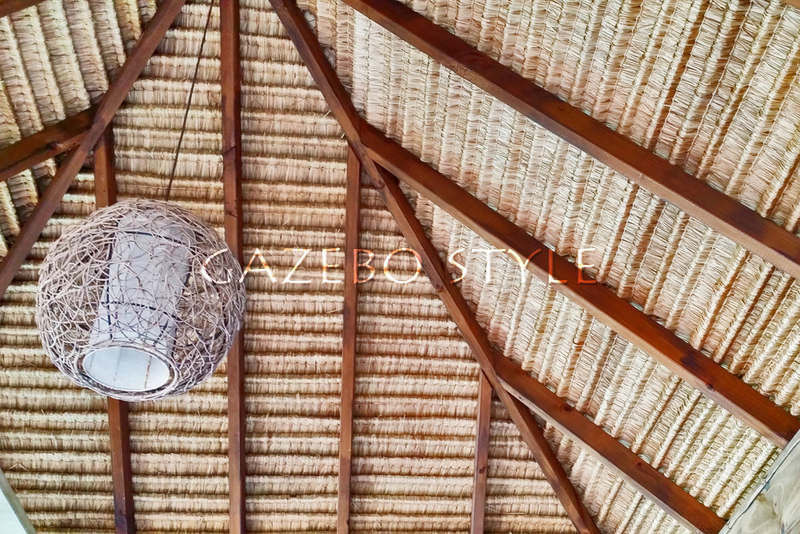 We always use the premium Grade “A” Alang Alang White String Thatch imported from Bali.